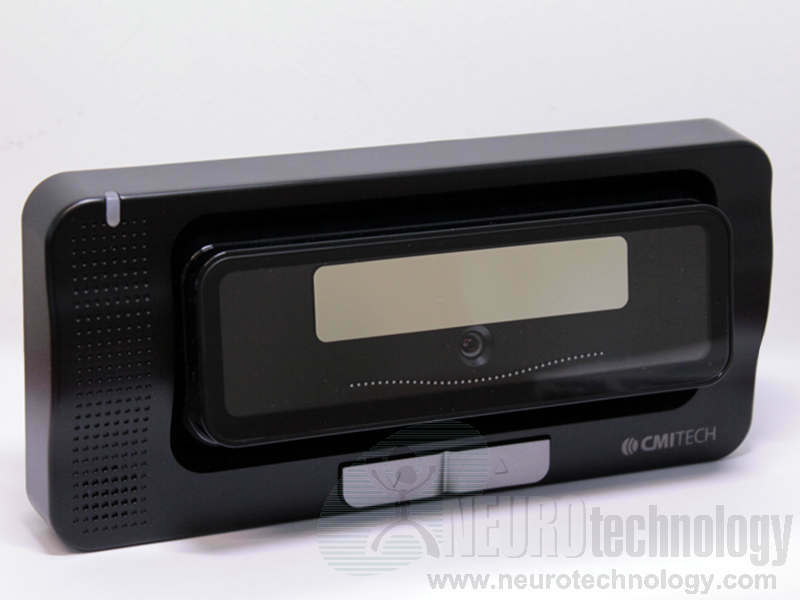 CMITECH EMX-30 is a dual iris and face scanner, which performs capture without physical contact. The scanner is able to adapt to subject's position and automatically tilts the sensor part to match subject's height. Also, the scanner uses LED-based feedback to provide assistance with correct distance from the scanner. The manufacturer specifies that the scanner is captures both irises simultaneously. Also specified the scanner's ability to detect off-axis gaze. The captured iris image quality meets ISO/IEC 19794-6 requirements. BMT-20 – binocular dual iris capture device.